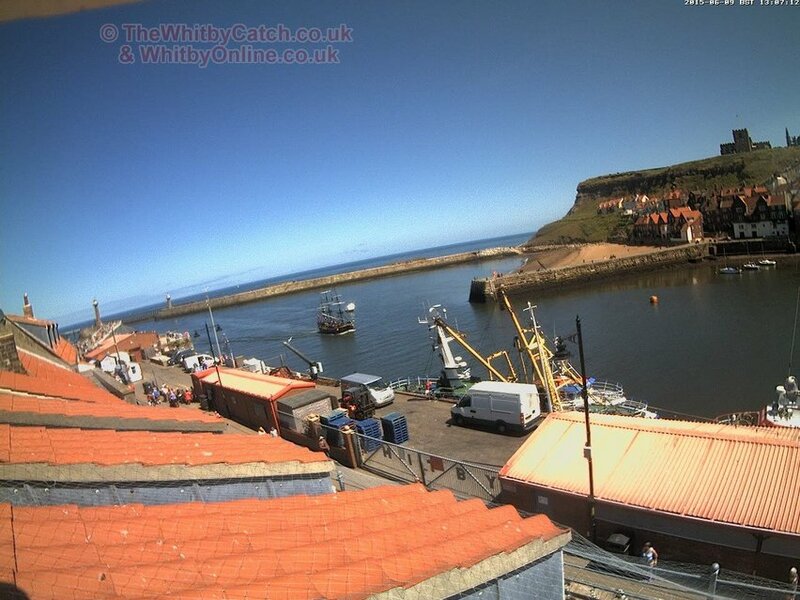 Amazing timelapse movies showing 12 noon in Whitby - one frame per day. We've been secretly and carefully capturing	and	keeping photos of Whitby taken at noon - every day - since December 2014. Now that we have just over a year's worth of such images, we've combined them to make the following exceptional timelapse movies. The tide. It ebbs and flows rhythmically, even though each image is taken from noon, showing the time of high water is changing slowly from one day to the next. The sun. Note the shadows on the roofs of the buildings. You can see the sun's changing noon position each day - a smooth arc. The sunshine. We all thought 2015 wasn't a particularly sunny year, but as you can clearly see, at noon it was very often lovely and sunny! The people. Whitby is a very busy place, but there's definite patterns of popularity. The boats. There are more in summer, but they never totally stop. Whitby is a year-round port. The buildings. There were no changes. Whitby stayed much the same throughought 2015. The cliffs. Again, no changes. No serious erosion noted in 2015. Did we miss anything? What can you spot that's interesting?